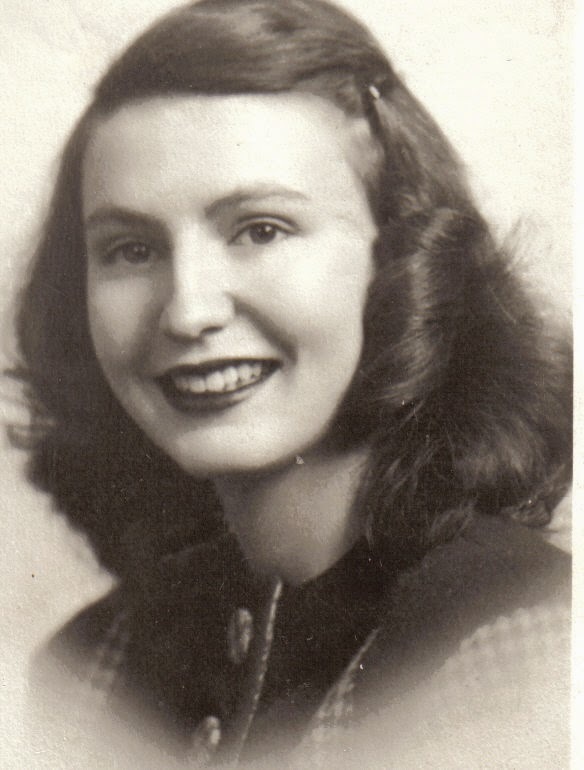 This is my mother's high school yearbook picture taken in 1947, in LaCrosse, WI, just before she was told a secret that led to a lifetime of secrets. Mom always told us that her parents divorced when she was 8 or 9, then her mother died when she was around 12 years old and that she was raised by her Aunt Fern. We didn't press the issue much as she never seemed to want talk about it. But as she was heading off to the University of Wisconsin that fall, Aunt Fern informed her that the couple who has raised her as an infant were not her biological parents and that she had been adopted. She told me several times later in my life that hearing this news as she was heading off to college affected her greatly. She never went looking for her biological mother to my knowledge. 1977, I received a phone call from Mom telling me that Aunt Fern's daughter, who was like a sister to her, had been in contact with Mom's biological mother, Alma, and that Alma was interested in meeting her. Was Mom interested? She was and they met several weeks later in St. Petersburg, FL. By now, mom had been divorced from my dad for 4 years and the last of the 8 children were getting ready to move out of her house. Mom and Alma knew each other for 7 years before Alma passed away. We learned from Alma that she had married Jim in St. Paul, MN, where he had a drug store. They married when Alma was around 50 and eventually relocated to St. Petersburg and they never had any children. Jim never knew that his wife had a daughter somewhere. It was when Jim died in 1976 that Alma began to think about her daughter and the possibility of knowing her. In the 7 years Mom knew her mother, she was never told who her biological father was. She did learn that Alma had become pregnant in 1929 and told Mom that her family sent her to Minneapolis to have the baby. Alma stayed in the Cities and mom was adopted by the couple back in LaCrosse. Aunt Fern was a family friend of Alma's and also who knew the couple who adopted mom. After Alma died in 1984, Mom went looking for her father. She had enough information that she gleaned from a few of Alma"s friends who slipped her some clues. Her investigation seemed to point to an attorney in a law office in LaCrosse where Alma worked. His name was Donald and he was Jewish and married. We were raised Catholic and found that interesting. You just didn't have babies if you weren't married in 1930. So she was whisked away to Minneapolis and the secrets were maintained. Mom also discovered that Alma's husband Jim had served on the St. Paul Transit Board was indicted for taking kickbacks on the bidding for the purchase of trolley cars. There are newspaper accounts of some of this but for some reason, Jim was let off or had his charges dropped. Alma told me once, under the influence of one too many scotches, that she and Jim had left Minneapolis and she carried $100,000.00 under her dress on the train to Florida. They purchased a small tourist hotel in downtown St. Petersburg called the Tropicana that Alma manager until Jim's death. When Mom died last August, one of the few things my sister had to do was notify the Sun Trust Bank that Mom had passed, thus dissolving the trust that Alma had left behind for my mother. It was divided 8 ways between my siblings. A lifetime filled with secrets ended materially when I deposited my modest portion in the bank. But I will spend the rest of my life wondering about how the secrets of my mother's life impacted and changed her life in dramatic and powerful ways. I'm officially declaring that Spring has Sprung, at least here in Omaha. Although my friends in the north central and northeast parts of the country are still stuck with mounds of snow on the ground. I'm going to try not to rub it in for fear that they might come and whack me over the head with a frozen leprechaun leftover from Monday's St. Paddy's day festivities. Why am I declaring spring sprung, you might be asking? Good question. I'm glad you asked because I have a list of reasons that I've complied. 1. We have no snow on the ground here....none, nada, zero, zip. And not only that, there have been more nice days than crappy days, weather wise. Now usually those two things go together-snow on the ground and crappy weather, or vice-versa (derived from the Latin phrase that means " the other way around" for any word geeks out there). And even though we could still get a early spring snow-dump, in fact it flurried just the other night, for now, it's starting to look like spring. 2. My yard and garden are passing the spring "eye-test". If you just happened to be in a coma and suddenly woke up today and looked outside, you might say, "gosh, it looks like spring". 3. The lawn mower is back from the shop and ready for the first mow. And we cleaned the gas grill and cooked steaks and potato packs for dinner last night. Some of you may not be able to see your grill under the snow drifts, I get that, but we're cooking with gas here. 4. My garden is 80% cleaned up. All the ornamental grasses are cut down and the waste hauled away. The sweet autumn vines have been torn down and removed. And the main flower garden has been raked and tidied up just in time for the spring bulbs to sprout. Now, I have to confess. I hired a guy, "Jim-I Do the Work" (that's what it said on the side of his truck) to cut down all my grasses and vines and to haul away all the waste. This is a job that usually takes me several weekends and results in a sore back. ( We've got a lot of large ornamental grasses). Plus, I needed two extra large grasses dug out of the rose garden in the front yard. They had simply grown too large and were overcrowding the bed. And they are not easy to dig out. So last Friday Jim stopped by and gave me a bid and by Sunday afternoon, the job was done. In 5 hours, Jim and his son did what would have taken me 20 hours and while they were doing that, I was raking out the flower garden. And I put out a cold frame and planted a row of lettuce, spinach and radishes in it. Voila...the garden is ready for spring. 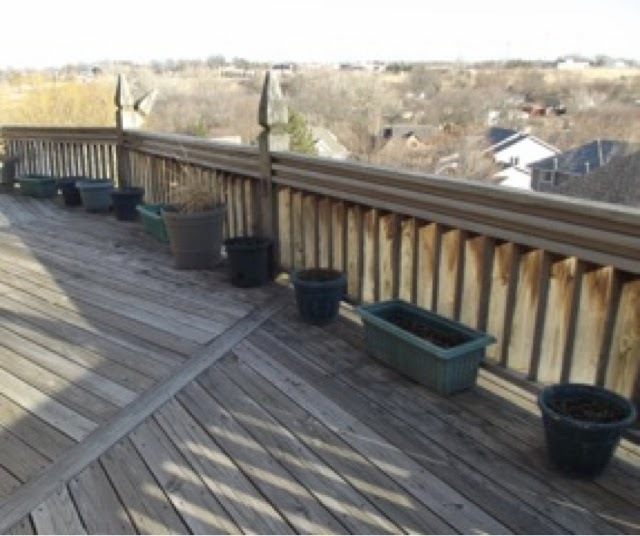 Can you imagine the joy in this garden nerds heart when I surveyed the yard and garden as I looked down from the deck while grilling our steaks on Sunday night? It wasn't quite as easy as it sounds. I resisted having someone else do my work for me. It wasn't about the money. It was about letting go of a job that has become physically more challenging each year-bending, lifting and hauling cans and bags of yard waste up the slope in the back yard out to the street. And I loved doing it...until it started to come with a price. It's too easy for me to forget that 18 months ago I had pain running through my right shoulder and down my arm for nearly 4 months. An MRI and a consultation with a spine surgeon revealed arthritis in my spine that was probably agitated when, without thinking, I grabbed a can of garden waste with each hand and hauled them up the hill and out to the street. I was lucky-I avoided surgery and the pain went away with the help of a steroid injection. There are still occasional reminders that ping my shoulder, neck and arm and warn to me to take heed. This spring, I listened and took heed. I hired "Jim-I Do The Work & Son". I guess it's better that my ego gets adjusted instead of my back. Actually, it wasn't long after "Jim and Son" pulled away that I said to Georgette, "Why didn't I think of that sooner?" But this is about spring, not my achy back or aging gracefully. And with spring comes hope, renewal and anticipation. 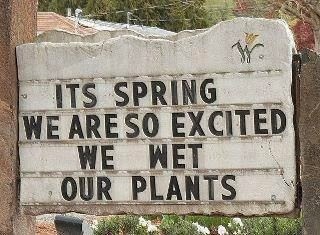 So again, I'm declaring that spring has sprung. And wherever you are, I hope it springs soon for you too. 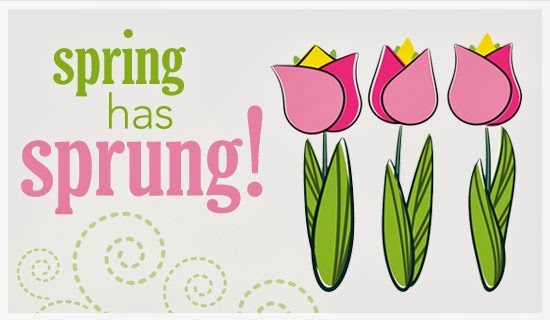 Spring has sprang? No. That doesn't work....Who sprang? Some guy in a Christmas poem? How Do You Keep the Music Playin'? How do we keep the music playin'? Baseball and blossoms, that's how. And a perfect combination to usher in spring. Except that it is still winter in Nebraska so we have neither here. So it was off Charleston, SC, last weekend for a late winter sojourn where the magnolias were blooming and where there was baseball to watch. Lest you think that it is a strange combination, read on and you will be enlightened or maybe at least somewhat entertained. We’ll be the first to admit we got lucky. Our paths crossed later in life, in our mid 40’s, after we had the opportunity to practice being married a few times. Sort of like marital mulligans. After most of the parenting was done-and not by me. And in 1995, when I applied for a job at the company where Georgette was employed, we met, became workmates, then friends. 17 months later we said “I do" and the rest is…..music. Both of us could probably come up with our own list of things we did in our prior relationships that added to the drama or poked the marital bear. We both cleaned our side of the street so to speak. We took our own inventories, like in Step 10. And we both grew. And since we were both trained and practicing as counselors that would surely give us a distinct advantage. Think again. Like the cable TV huckster back in the 80’s who was peddling his “10 Steps to Getting Rich” scheme where he preached to his audience one evening, “Watch what poor people do….then don’t do it”. Brilliant. Watch what unhappy couples do, then don’t do it. I think I got it. Then someone came along and suggested that good isn’t always the opposite of bad. We both had a crash course in what not to do, but how then did we know what to do, you know, to keep the music playin'? We didn't. We just figured most of it out as we went along. What we both agreed on up front was that neither of us was interested in any kind of relationship that wasn't about enhancing our lives, plain and simple. And neither of us wanted to work that hard at it either. What? Not work that hard at it? Isn't that relationship heresy? What we weren't willing to do was work hard at being somebody we weren't. Or work hard to expect the other person to be someone they weren't. Or work too hard to decide on what restaurant we want to eat at tonight, or what movie we want to see. Or what color to paint the living room or whether we should mow the yard today or tomorrow. Which brings us back to baseball, blossoms and keeping the music playin'. We discovered we were both Maximizers. Maximizers focus on quality over quantity. Maximizers focus on strengths, not weaknesses. Maximizers ask, "what is the best use of our time right now, today, or this weekend?" Maximizers would rather take something good and make it great. Polish the pearl, if you will. It didn't us long to figure what out what we both liked and who did what best. We both like baseball. And basketball.. She got me hooked on volleyball. I like to run. She likes to walk. Some days I run and she walks and other days we walk together. She likes to cook. I like to eat. Thus, we dine a lot at home. I like to grow flowers. She likes to pick and arrange flowers. We both love music. I want to stand right in front of the stage. She wants to sit in a seat. Sometimes we go together and sometimes I go without her. I love the energy of a city. She loves the solitude of the mountains or beach. We both love to travel so we meet in the middle. We do some of each. We both love to mow and the look of a freshly mowed yard. So she mows the front and I mow the back. I like lots of gadgets. She likes a crisp house. So she gave me a basket for the remotes. And sometimes I actually use it. She prefers to spend time with those she knows. I like to meet n' greet. I've promised to never make her go on a tour bus with a bunch of old coots to somewhere like.....Branson, Missouri. To put us in a musical framework, there is a lot of variety in what we do. But there are also a lot of rituals and routines, themes if you will. The tempo ebbs and flows. More often than not it is active and expressive with lots of dynamics. Almost always in a major key with melodies that intertwine. The sections that are in minor modes are short lived and almost always interjected by some other composer. There are parts where she takes the lead, and there are times when the baton is passed back to me. And when one or both of us starts to get out of tune, or plays a wrong note, the other will simply tip the baton and cue the other person back in. The music may slow or get quiet. So far it hasn't fallen apart or come to a screeching halt. So when it comes to working on our marriage, you could say we are both pretty committed to keeping the music playin'. Which takes us back to baseball and blossoms. We needed a late winter getaway. Nebraska was playing baseball in Charleston against the Citadel. There are good restaurants and old historic things to see. The weather would be decent. We could be outside.The magnolias would be in bloom. So off we went. We saw 3 baseball games. And visited the Magnolia Plantation. Took a carriage ride in old Charleston. I ran and she walked in Harmon Park. We ate good seafood and Thai. Walked through the neighborhoods near the Battery and admired the classic old homes and gardens. And on our last night we had dessert at the worst McDonalds I've ever seen and laughed all the way back to our hotel where we watched the first half of the Oscars before we both drifted off to sleep. I think I can hear James Ingram and Patti Austin singing.